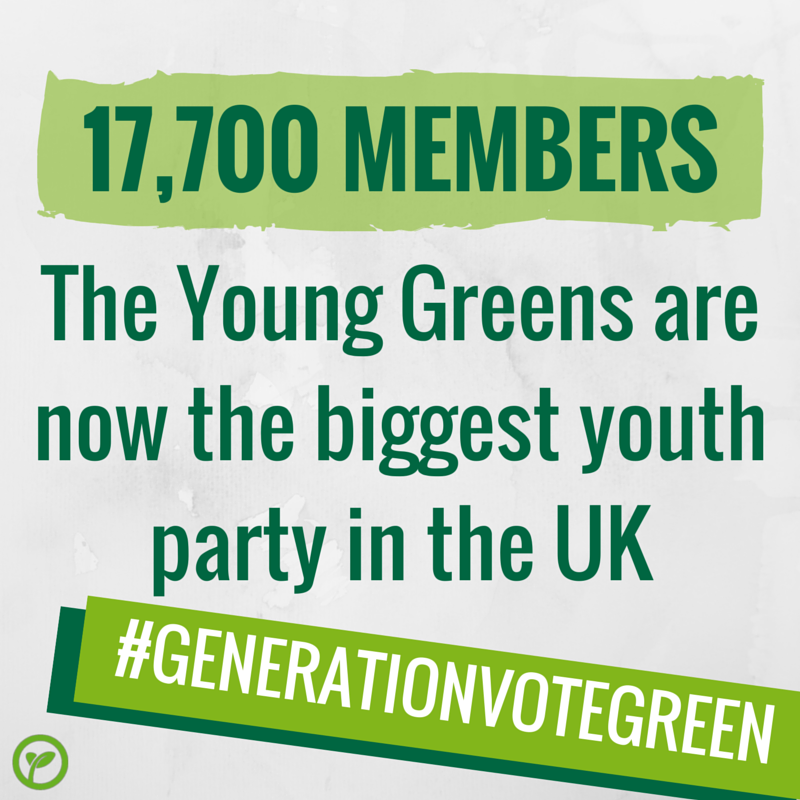 Today the Young Greens reached 17,700 members, making it the largest youth wing of any political party in the UK. 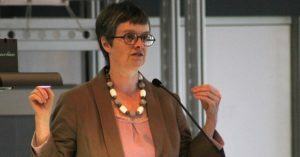 The group has grown dramatically in the past six months, with its current membership greater than the membership of the entire Green Party a year ago. This follows a surge in membership earlier this year which saw the Green Party overtaking both UKIP and the Lib Dems. Clifford Fleming, Young Greens Co-Chair, said: ‘This is a testament to the growing feeling among young people that it’s time for something new in politics. We’re sick of mainstream Westminster politics, sick of being told that we must suffer for the mistakes of the bankers, and sick of being made to feel like we don’t have a voice.’ Clifford said that young people are drawn to the Green Party because it ‘puts young people at the heart of our policies’—through free university education, a living wage, and decent affordable housing. 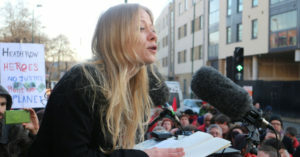 He stated that the party offers ‘real, radical solutions to the problems the UK is facing’—which have ‘struck a real chord with young people all over the country’. In several of the Green target seats—constituencies such as Bristol West, Norwich South and Brighton Pavilion—the youth and student vote is significant enough to swing the vote. The party has been polling at record levels among young people, overtaking the Conservatives to become the second most popular party with students.